There are many blogs and articles on the internet these days about children jumping ship and abandoning their faith when they leave home. This is a valid concern, but if a parent is intentional about addressing this issue and preparing the child to understand, know and live out a biblical worldview, then these concerns are often diminished. At this workshop we will suggest curriculum, ministries, camps and more that have proven to be helpful when guiding your child towards a solid faith. 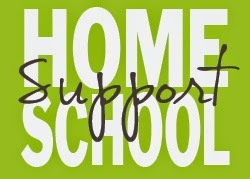 How can a homeschool parent be sure their students are prepared for life after high school? Many subjects that are important to a teen are often either neglected in high school or postponed until college, yet in order to adequately prepare a teen for life there are certain subjects that should be mastered before your teen graduates. The subjects of logic, current events, debate, public speaking, worldviews and critical thinking are often considered electives, yet are vital to developing a well-rounded, articulate individual. This workshop will cover how a parent can easily introduce and master these subjects, with recommended resources included. In addition we will discuss testing and transcripts, dual enrollment, college choices, gap year programs and other post-high school options. Catherine has been writing her own homeschool materials for more than twenty-five years, non-fiction for more than twenty years, and historical fiction for more than five. She currently publishes her own materials in a variety of locations, and assists others in starting on their own self-publishing journey. Cheryl has been working with Microsoft Word at home and at work for more than a decade. She will share tips and suggestions on how to get more out of this important work horse! Catherine will share ideas on taking your homeschooling beyond the two-dimensions of books by including some combination of lapbooking, games, travels and more. Pat Wesolowski, mother of nine, homeschooling more than 30 years, is also an author, speaker, and host of a bi-weekly podcast on Homeschooling Co-op style. Pat is now employed by Bryan College as the homeschool specialist. Catherine Jaime, mother of twelve, homeschooling more than 30 years, owner of Creative Learning Connection, author of dozens of books and hundreds of e-books. There is no cost to attend, though we would love to know what workshops you are planning to attend. Please email us a list and name(s) at cmmjaime@alum.mit.edu. Directions and other information on our services, books, etc. can be found at our website: www.CreativeLearningConnection.com.